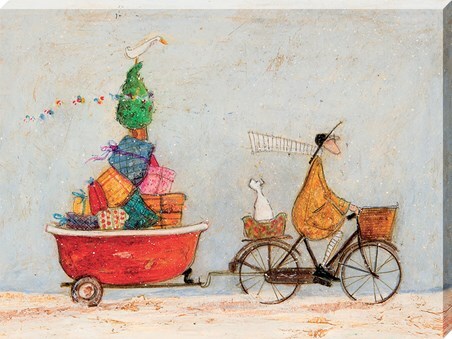 Celebrate a marvellously merry Christmas with Mr Mustard and the gang and hang this festive scene in your home. 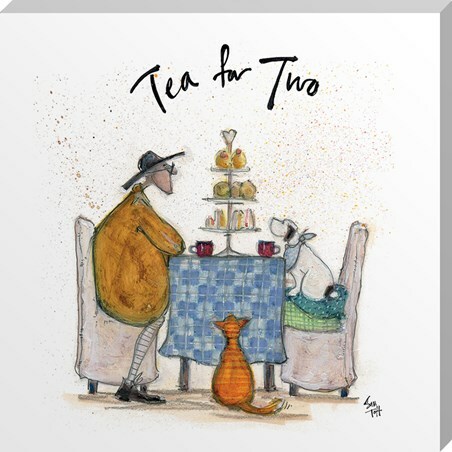 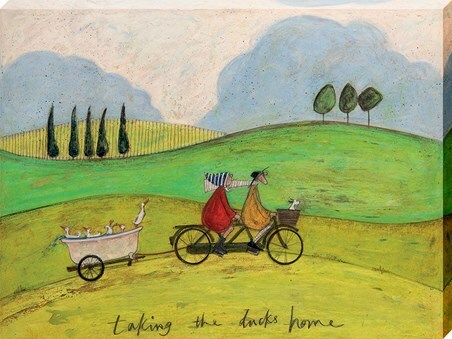 Featuring Sam Toft's favourite, whimsical characters, this glorious canvas print sees Mr Mustard and Doris biking along, trailing a large bathtub full of brightly coloured presents and a feathered stowaway atop a green Christmas tree. 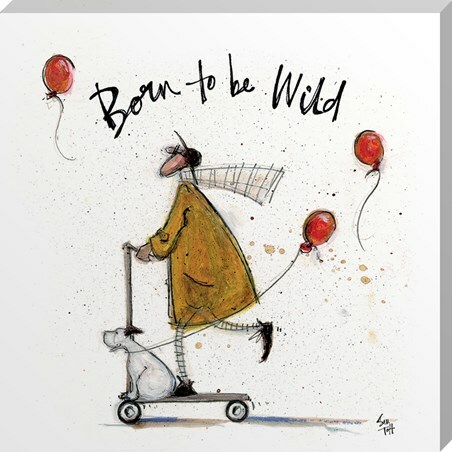 Get into the holiday spirit and add a splash of charming, festive fun to your walls with this delightful image. 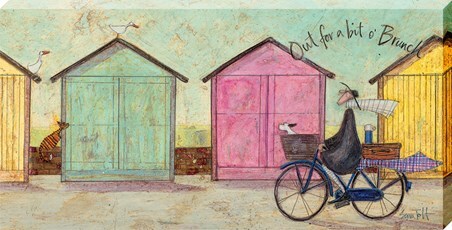 High quality, framed A Tubful of Good Cheer, Sam Toft canvas print with a bespoke frame by our custom framing service.